He has modeled for me what my life should be like – what is required of me. Micah tells me this in the Old Testament and its one of the main reasons I study the New Testament so intently. and to walk humbly with my God. How can I act justly? Today that looks like living a life of integrity – doing the right thing even when no one is watching and no will ever know. I need to use God as my compass as I navigate the treacherous and ever-changing waves of life which often try to sweep over me and draw me away from him. How do I love mercy? Mercy is undeserved compassion. My world is full of confused and broken people who don’t need my judgement, they need my compassion and help. It’s not my job to help everyone. But God has given me passions – things I really care about – in order to find the places where I need to help and serve and make a difference. If everyone would give $20 and a couple of hours of their time in the area of their passion, we would all be surprised how much things could change. And I am called to walk humbly with my God. Submitting to his direction for my life. Staying strong in my belief that God is good. Sharing my journey with others who haven’t accepted the Great News yet. 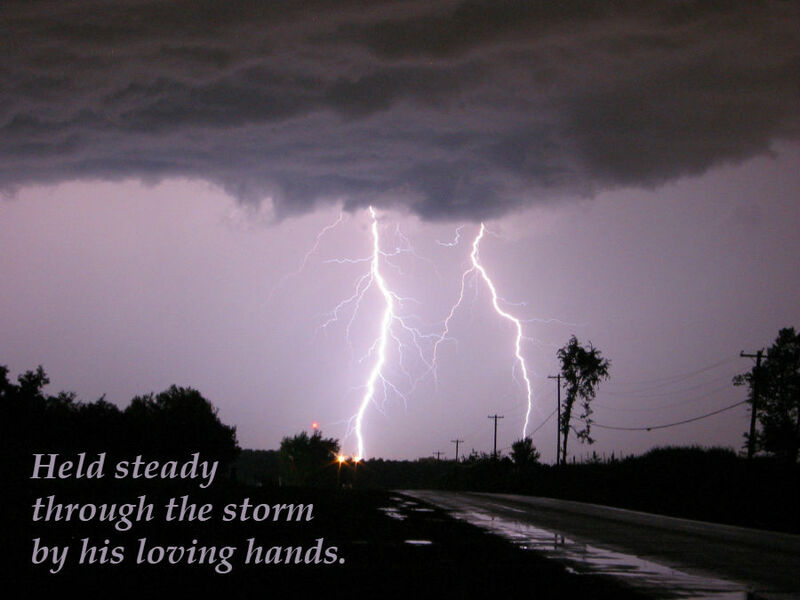 Held steady through the storms by his loving hands. My eyes fixed on him. He has shown me what is good.